The Lazy K Ranch is located just east of Sedan Kansas in the eastern edge of the Flint Hills. 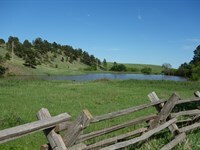 This ranch is made up of 870 acres of rolling hills of native tall grass pastures and heavy timber. 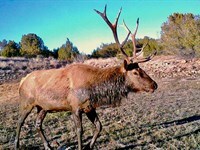 The Lazy K Ranch is a great combination of grazing pastures and excellent recreational hunting property. This ranch offers some exceptional views from almost every turn with heavy timbered valleys to rolling hills of native pastures as far as the eye can see. This region of Kansas is big buck country with native pastures that ranchers and hunters seek from all over the country. Trophy whitetail deer and wild turkey are abundant on this ranch offering not only a private ranch with hunting but additional income produced from optional hunting leases, outfitters and grazing leases. 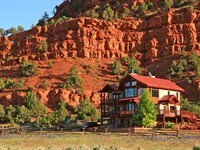 The Lazy K Ranch is a diversified ranch with many options and possibilities for the rancher and hunter in mind. 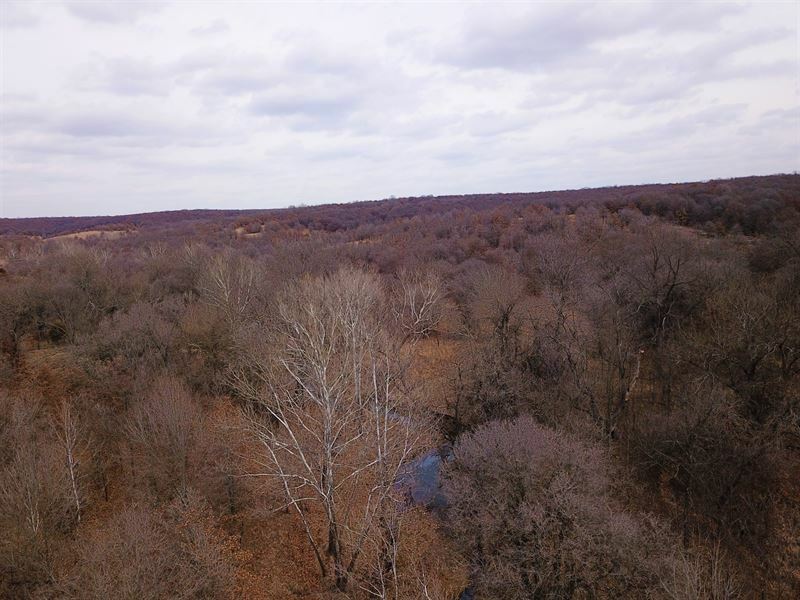 Additional 1100 acres is available for a total of 1970 all continuous acres, contact the listing agent for more details and maps. Improvements Six miles of perimeter fencing of five strand barbed wire. 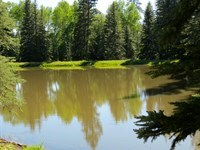 Two stock ponds scattered throughout the ranch, with watershed creeks. Electric power is established on this ranch for future home or campsites. Currently under a pasture management plan for productive cattle ranching. Established hunting camp sites with electric power, interior roads throughout offering easy access. Hunting Abundant populations of whitetail deer, wild turkey, quail and other small game. Predator hunting is also a part of proper ranch management of Coyotes and Bobcats. A bow hunter can find most any area of the ranch fitting for tree stands or blinds and with the lay of the land the ranch offers great opportunities for the long range shooter. Long range rifle hunters can sure appreciate the distant shooting opportunities that this ranch will offer. Large valleys with high ridge tops can provide many exciting opportunities for the long range hunter with tower blinds or spot and stalk methods. Cattle Production This ranch consists of 350 acres of native open pastures. This 870 acres is currently used as rotational grazing this ranch typically carry's 10-12 acres per animal unit. With proper management and rotation this ranch carry rate could be increased. Wildlife Habitat The habitat on the ranch is made up of heavy hardwood timber of Post Oak and Blackjack. Cedar is prevalent on the ranch and provides excellent cover throughout the ranch. The hardwood timbered valleys and ridges over some excellent acorn crops during the fall season that the turkey and deer use for natural food sources. The ranch offers many areas for food stations such as feeders and food plots that can be established in multiple areas. Bedding areas can be found throughout the ranch with most valleys offering excellent thick brush and cover. A bow hunter can find most any area of the ranch fitting for tree stands or blinds and with the lay of the land a rifle hunter is in their element. Long range rifle hunters can sure appreciate the distant shooting opportunities that this ranch will offer. Large valleys with high ridge tops can provide many exciting opportunities for the long range hunter. Tower stand locations are easily available or even the spot and stalk method can easily be achieved on this ranch for hunting whitetail deer. 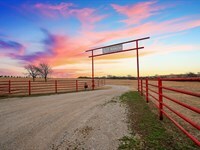 The ranch offers all 870 continuous acres and additional 1100 acres available for a total of 1970 acres. Contact the listing agent Stacy Callahan for more details. 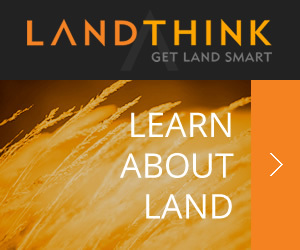 When calling broker, please say, "I found your listing Lazy K Ranch 870 on FARMFLIP."